Do you remember when I made pesto yesterday? Well, it is one of my favourite food, so I left over a little amount to make this incredibly simple and delicious crostino. 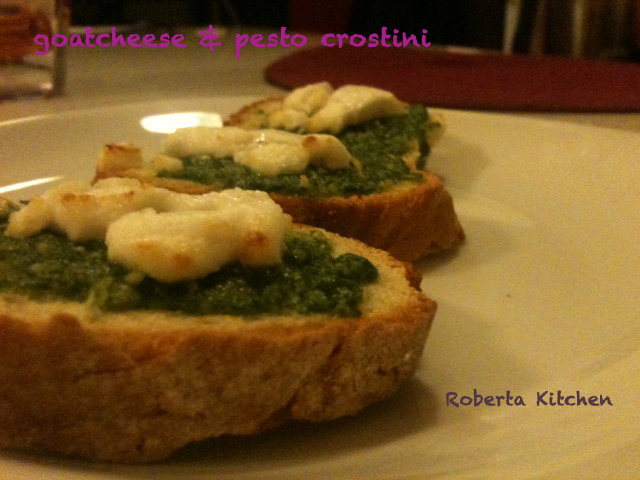 All you need is bread, french goat cheese (chèvre) and pesto! Slice the bread, put into the oven for a couple of minutes, take it out of the oven and spread pesto on it. Put int the oven again….1 minute…ready!! !